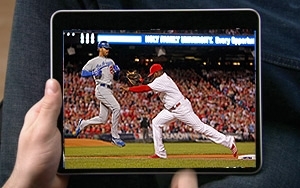 Gannett's partnership with application provider ViewLift to develop digital sports video services, announced Thursday, focuses on streaming sports-related apps, content and entertainment services across smartphones, tablets, televisions and PCs. The deal combines Gannett's local affiliate television stations and editorial and marketing expertise with ViewLift's platform services and proprietary technology. The plan is to go beyond the game and its highlights to provide videos about players, teams and others passionate about sports. The two expect to begin testing the first digital channel later this spring. Dave Lougee, president of Gannett Broadcasting, said the partnership creates "interesting opportunities" to explore video services combining traditional over the air with OTT distribution and local and national content. Sports video content will increasingly become important. Reuters reports that Verizon Communications will offer college sports programming in its upcoming online video service targeted at families and younger viewers. It will offer 20 to 30 channels, but also see a market for streaming original content. Verizon expects to release its video service this summer. Content from CBS Sports, ESPN, ACC Digital Network, Campus Insiders, and 120 Sports will become available later this year.